While being the first woman president is an honor, it carries with it a major responsibility beyond all that being a college president entails. 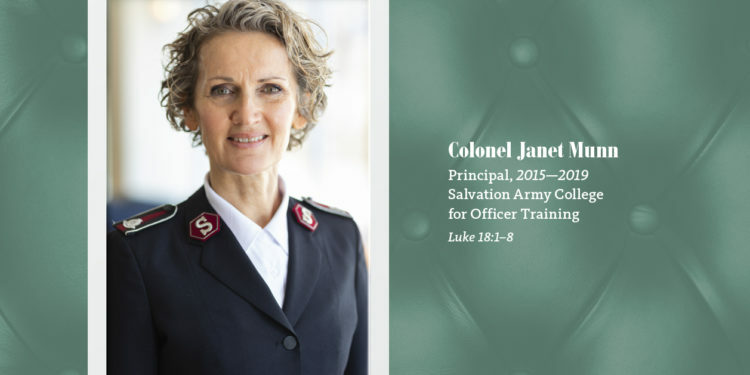 The schools that have been open to female presidents are those that come from religious traditions such as The Salvation Army that, from the beginning, valued women as leaders. But even with this receptiveness, it can take time for the early beliefs of a tradition to result in appointing a woman to lead. 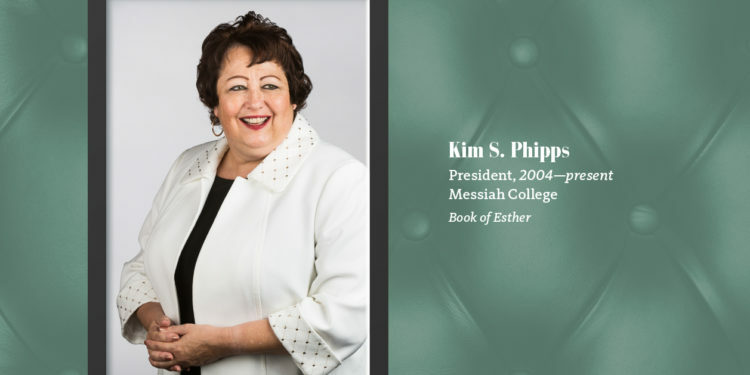 The Council for Christian Colleges and Universities, a higher education association of more than 180 Christian institutions around the world, didn’t have a college with a woman in the president’s role until Kim S. Phipps took over at Messiah College in Mechanicsburg, Pa., as its first female leader in 2004. Of the 183 presidents associated with CCCU, only 16 are women, a small number but one that is on the rise. In the United States, women account for 7.6 percent of CCCU presidents, up from 6.7 percent in 2015 and 5 percent in 2010. 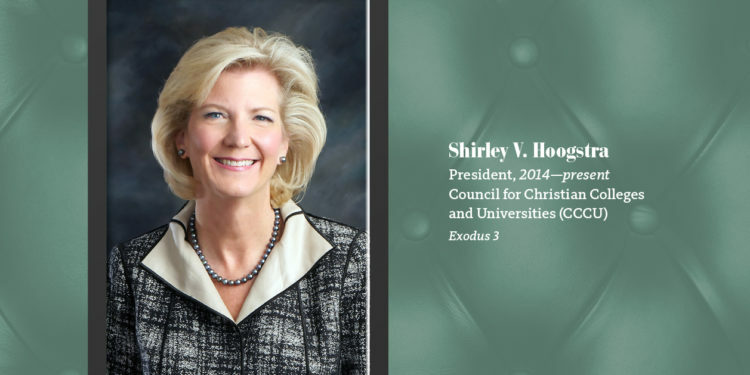 Not all Christian colleges descend from traditions that support women’s leadership, which is why the number of female presidents is significantly lower than in secular institutions where 30 percent are women, according to a 2016 American Council on Education report. In previous generations, she explained, women made choices that limited their careers; choices made out of necessity or a lack of opportunities. However, one factor from the past that hindered women’s advancement was out of their hands. “The job of the board of trustees is to manage risk,” Hoogstra said. “If you pick a first, there’s not a track record. There may have been a perceived risk.” Even in the most accepting of traditions, women’s ascent into leadership isn’t automatic. But attention needs to be paid with “deliberateness and intentionality,” she says, or leadership will remain with the dominant gender and race and continue to look the same as it has for decades. Those values run deep and wide, as Munn learned in talking to Salvation Army leaders around the world while pursuing her doctoral research in transformational leadership. She found that it was their strongly held belief that gender equality was a biblical mandate and was a key value in Salvation Army history. But progress can be slow. Messiah’s Phipps said she feels sadness that women’s leadership can still be considered historical in the Church and in the broader culture. 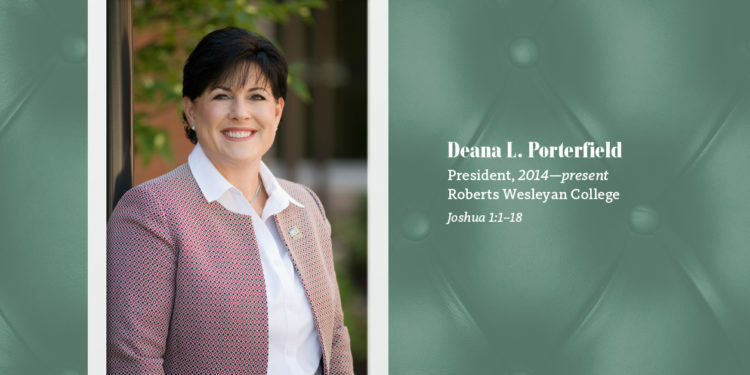 Because it is so often the board of trustees, traditionally made up largely of older men, that chooses the president, “we need to be raising up boards capable of seeing women as leaders,” she says. At the time Phipps was chosen to be president of Messiah, the college had its first female board president, Eunice Steinbercher. 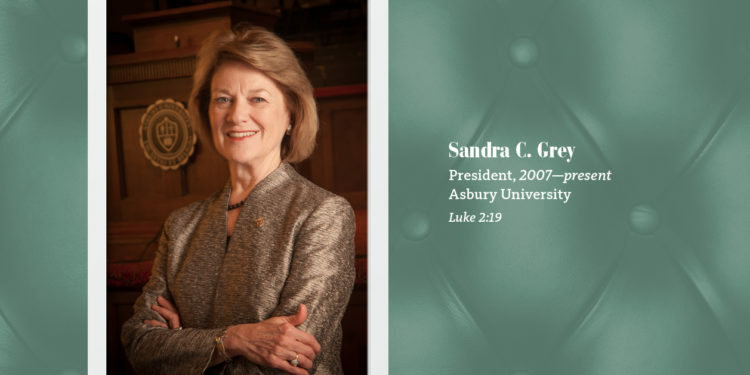 Seeing a woman in that role is also important for students—all students rather than just the 60 percent who are women, says Sandra C. Gray, who in 2007 became the first female president of Asbury University in Wilmore, KY.
One factor that remains a big area of difference between a man assuming the president’s role and a woman, is the age of their children. It was the same with her presidency. The opportunity came when her children were independent enough to be left in Minnesota, where the family was rooted. All of the female presidents say that, in general, women govern more collaboratively, and this is crucial now more than ever for working with staff, boards, and the community. 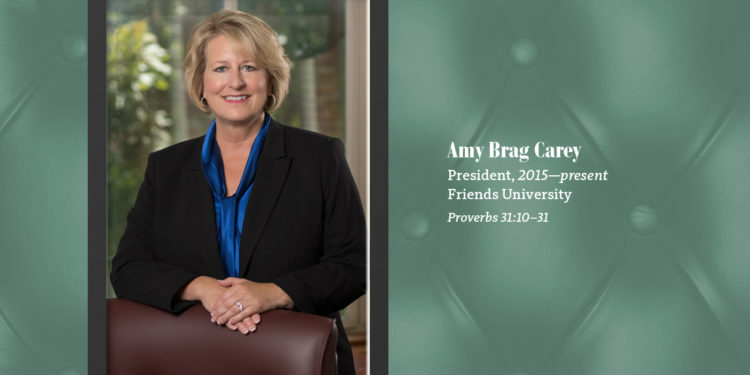 “Colleges and universities need to be involved in business partnerships,” Carey said. “The top–down leadership is not working well in higher education these days. Many of us do well what we’ve needed to do throughout our careers; make connections and help one another on the way. 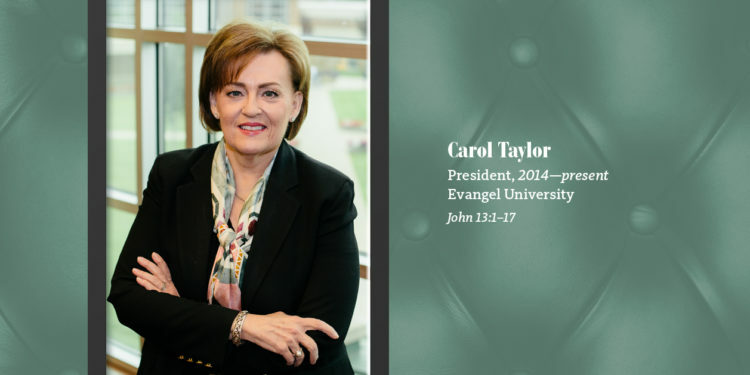 For Carol Taylor, who became the first female president of her alma mater, Evangel University in Springfield, MO., it’s all about service. Before taking over in 2014, she was the first female president at Vanguard University in Costa Mesa, CA. On her desk facing her is a small, beautifully crafted picture frame in which the number 24 is shown. Nothing else, just that number. It helps to look at that picture frame and what that number represents so that on tough days she can focus on serving all members of the community, whether that is challenging or not. The presidents turn to other biblical figures; Esther being a favorite of several. 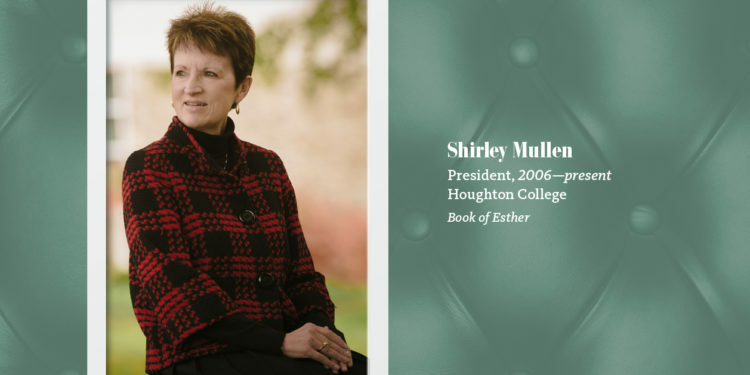 Mullen sees her as a role model for women in leadership because even though Esther’s circumstances were different—being in a harem—she followed what she felt was a call to do God’s will in difficult circumstances, trusting God’s timing and preparation. “I take that very seriously,” said Mullen. Carey’s choice is a person she refers to as “the Proverbs 31 woman” because she was a wife and mother, but also bought a field. She was a business leader. Another nameless woman registers with Taylor for having the longest recorded conversation with Jesus—the woman at the well, which reveals to Taylor the dignity and worth Jesus had for all creation. She also points to another against–the–grain choice, Mary Magdalene. Although still broken with grief, she was the first to see Jesus after His resurrection. Gray also is heartened by the way Jesus showed love to the Mary who washed His feet, despite living in a society that would have rejected her for doing such an act. Gray also is comforted by Mary, the mother of Jesus, who bowed to God’s will and who pondered things in her heart. Munn also chose a nameless woman. She looks to the parable of the persistent widow in Luke’s Gospel. When the disciples asked Jesus how they should pray, He told them to consider the poor widow who repeatedly went before the judge who feared neither God nor people, but who gave into her because she was unrelenting. To her, the message is clear. “Never give up. Even if the odds are against you, will not God give justice to His children who cry out to Him? Jesus is really affirming a female for being outspoken and refusing to be silenced or discouraged—driven by her need for justice. She’s one of my faves. Retta Blaney is an eight–time journalism award winner and the author of Working on the Inside: The Spiritual Life Through the Eyes of Actors, which features interviews with Kristin Chenoweth, Edward Herrmann, Liam Neeson, Phylicia Rashad, Vanessa Williams, and many others.